This autobiography, written from several different perspectives, offers a multi-faceted glimpse into decades worth of tragic misunderstandings, outrageous rumors, and rides on the wild side. 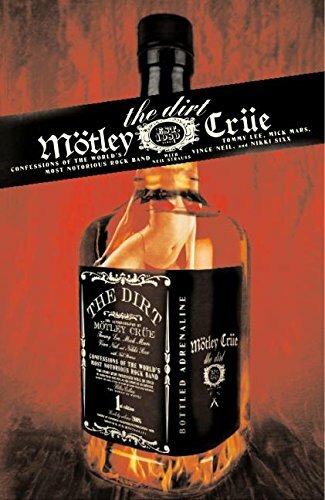 One of the most notorious rock bands in the world, Motley Crue, delve deep into personal confessions and dark secrets in The Dirt, while also holding on to the shadows of resentment and grudges that tore them apart after their long run of fame and success. Their stories are both universal and unique. Eternal struggles of the human condition, such as teenage angst, rock n’ roll rebellion, and primal instincts are doused in hairspray, crammed in leather jackets, and hungrily set ablaze in this memoir. Lead singer Vince Neil, guitarist Mick Mars, bassist Nikki Sixx, and drummer Tommy Lee each recount their side of the story, with the occasional chime-in from a former producer, manager, groupie, or bandmate. Just as inflated egos are poor disguises for insecurity, so is the glamour of hair metal a thin veneer of decadence over a huge core of inner turmoil. Nikki Sixx allowed the hatred of his youth seep into his adult life, leading to several violent meltdowns and overdoses. Vince Neil suffered one heartbreak after another, first killing his own friend in a drunk driving accident, and then losing his young daughter to a long and painful battle with cancer. Mick Mars was the subject of ridicule for his debilitating medical issues, both physical and mental. Tommy Lee was hopelessly addicted to both drugs and women, and his long string of failed toxic relationships eventually wound him up in prison. Behind the dazzling stage act, there was an ugly mass of family dysfunction, childhood trauma, and drug abuse that would eventually culminate into the band’s demise. However, the book has a light-hearted element of humor that eases the blow. For every injustice our heroes endure, there is a witty remark that indicates healing. For every degenerate act of debauchery they instigate, there is a joke that reminds the reader that they cover deep wounds with mischief. Even Ozzy Osbourne, the Prince of Darkness himself, isn’t immune. The Dirt reveals Osbourne also fought with drug addiction and acting out for attention, masking a highly troubled and deeply disturbed psyche. One minute the guys would be partying hard, the next they’d see each other having emotional meltdowns on stage, too fucked up on booze and pills to perform a song that had been rehearsed for years. Simultaneously gripping and repulsive, heart-warming and nauseating, this book exemplifies the paradox of human nature. It is a bittersweet reminder that celebrities are simply ordinary people put into extraordinary circumstances. Their hardships and triumphs mirror those of our own, while also been blown cartoonishly out of proportion by a band who prides themselves on excess. That’s not to say the book is untruthful or exaggerated: They really led extreme lives, and were lucky enough to survive to tell the tale. This book is impossible to quit, and will likely keep you up to the wee hours, biting your fingernails to the root, anxious to turn the page and find closure for your own suspense. 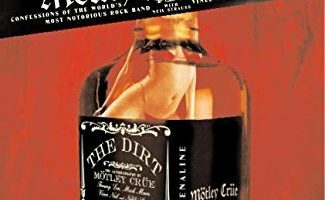 Motley Crue: The Dirt is a brutally honest take on the life of a rock band, and what happens after the curtains close. Five stars out of five!